Jan Mracek was born on 9 October 1909, In Prague, Czechoslovakia. Both his parents were artistic in one way or another; his father played the piano and could play melodies without sheet music after hearing them only once, and his mother enjoyed pottery. Jan was an only child so maybe it was no wonder that his parents guided him towards an artistic future. Although his decidedly average academic results up to then may have played a part as well. Whatever way, at the age of 16, Jan Mracek became an apprentice and was enlisted in a place where he was taught the art of engraving, and was also put to work on creating postal handstamps. At the same time, Mracek attended classes in other disciplines such as drawing and anatomy, at the Graphic School. Mracek’s artistic cultivation took a break from late 1929 to early 1931, when he was enlisted in the Czechoslovakian Army. In 1931, at the end of his conscription period, Mracek started to work as an engraver for Josef Kubias’ firm, where he stayed until 1942. During that time, Mracek also resumed his evening art classes. At the end of 1937, Mracek contacted the Czechoslovakian postal authorities for the first time, offering them his services as an engraver. While his efforts did not lead to a position at the state’s printer, as there were no vacancies at that moment, the authorities were interested enough in him to ask for some samples of his work, keeping his details for future reference. In 1942, Mracek’s break finally came, when he was asked to sit a rigorous exam for the Bank of Bohemia and Moravia. Having passed, he was duly employed as an apprentice, with Bedrich Fojtasek as his manager. From 1960 that would be the stamp engraver Jindra Schmidt. He would continue engraving banknotes for Czechoslovakia until 1972, with his last one for his home country being the statute portrait of Jan Zizka on the 20k banknote of 1970. In 1954, Mracek injured one of his eyes, which meant he had to take time off work as engraving would be too much of a strain to him. A year later he returned, but was given other jobs to do, as he still could not strain his eye. However, it was later found out that he did do a few private engravings at home, which led to a warning from his employer. Stating he wouldn’t mind going back to engraving, Mracek instead ending up being a supervisor, as there seemed to be not enough engraving work to go around. He did however, return to banknote engraving for a few years. His final work dates from the early 1960s but it is not until 1972 that Mracek retired from the banknote firm. 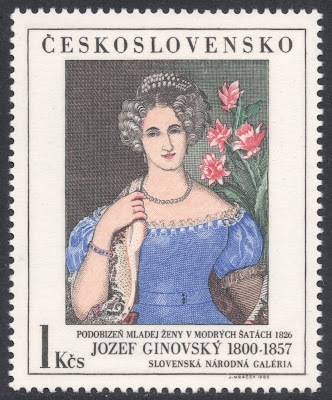 All the while, Mracek had been engraving postage stamps for Czechoslovakia at home as well. This started in 1948. 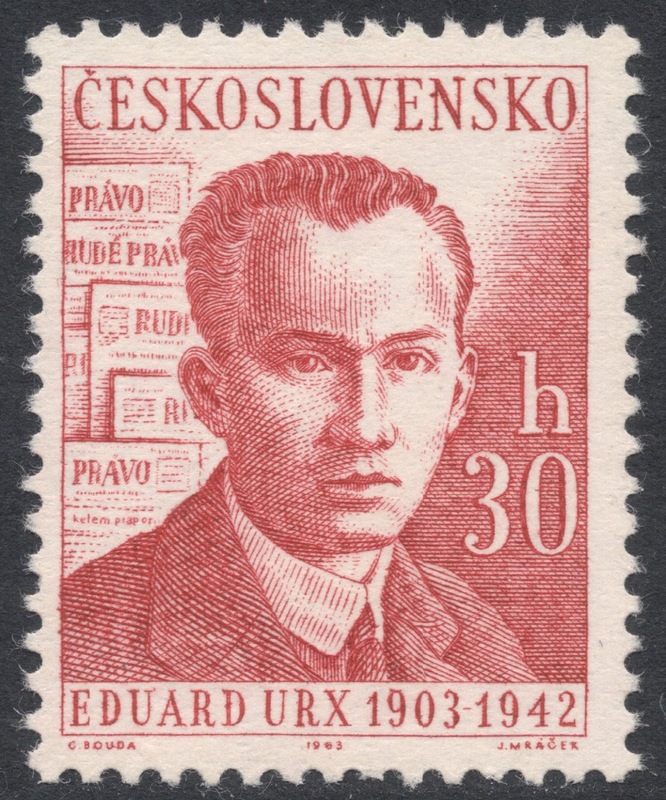 Although never actually employed by the Czechoslovakian postal authorities, the system worked with single-job contracts, for which his employer, the banknote printers, had to give permission. This was usually granted, with the stipulation that the engraving had to be done at home, outwith office hours. For most of his working life, Mracek lived with his wife in an apartment block in Prague, on the fifth floor (112 steps with no lift! ), with the attic floor turned into his studio, where he engraved the majority of his stamps. In a career spanning nearly four decades, Mracek engraved over 250 stamps, mainly for Czechoslovakia, but it is stated that he also did a few ‘foreign’ stamps, especially when these were printed in Czechoslovakia. 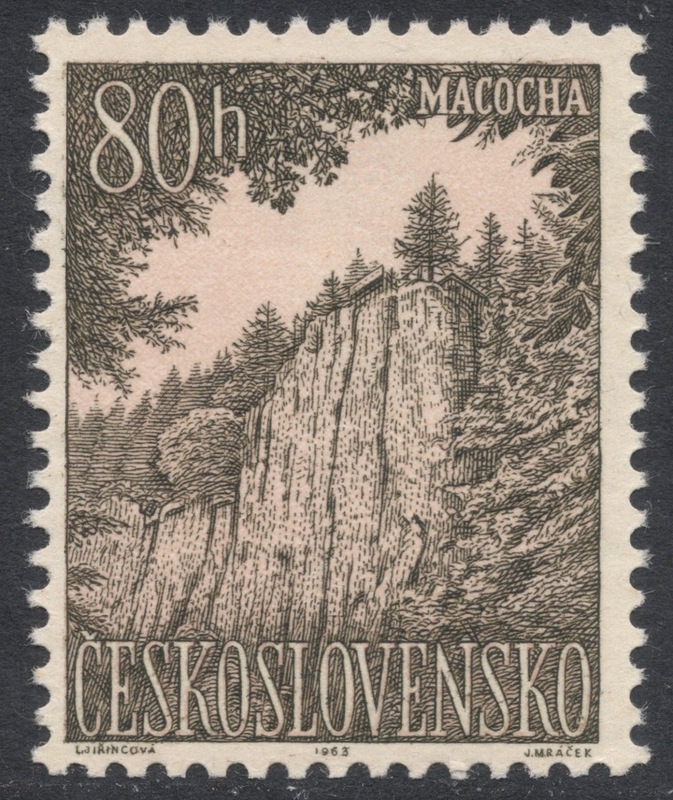 Examples of those are the 1967 Bulgarian Mountain Peaks set, for which Mracek engraved the 2st and 5st values. In 1971, Mracek engraved the UN Children’s Fund issue for Kuwait. The stamp work for Czechoslovakia also included engravings for First Day Covers and any other related material. Of his early work, Mracek was especially proud of his 1951 portrait engraving of Julius Fucik, for the Peace Propaganda issue and used again in 1953 for the tenth death anniversary of the man. The design was by the well-known Max Svabinsky, and Mracek, who usually designed his own work, was very impressed with the portrait. Subsequently he was also rather pleased that Svabinsky liked the proof engraving Mracek showed him. 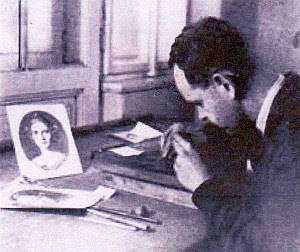 Although Mracek only worked from existing images of Fucik, he said he could see the pain of the nation in his face (Fucik was at the forefront of the anti-Nazi resistance), which made him work very hard to make it the best portrait engraving he could produce. Another engraving Mracek was very pleased with, was the 60h value of the 1960 Castles definitive set for Czechoslovakia, the only one he engraved for that set, depicting Karlstejn castle. Mracek retired from the banknote engraving business in 1972, but kept on engraving stamps, right up to his death on 12 October 1987. Some would argue that Mracek never really fulfilled his promise, that he had more talent than he would care to show, or was given the opportunity to show, and consequently that his portfolio slightly belies his talents. He never seemed to be bothered about that, though, although some of his contemporaries would say that he might have been just a wee bit jealous of the more famous engravers. In his own words, Mracek said that his job had been one great adventure. He may have been sat behind a desk for all of his working life, but on that desk he had had the most wonderful adventures, so if he had to start all over again, he would most certainly be an engraver again. You will find Jan Mracek's database HERE.